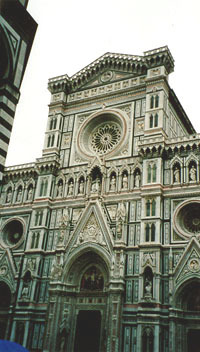 This is the front of the Duomo. It is so big that it is hard to capture in one photo. 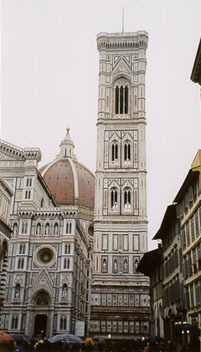 Here is the Duomo's tower with its Cupola (Dome) in the background. 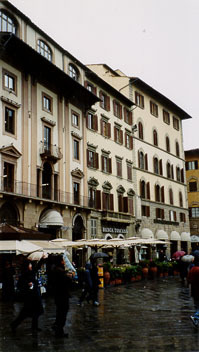 A street scene in Firenze. 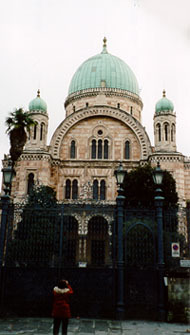 Firenze's synagogue is an amazing building. Firenze apparently has a pretty cohesive Jewish community by Italia standards. 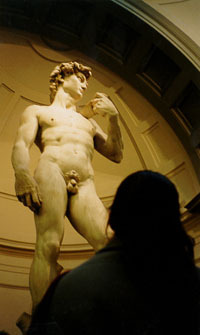 Irith admires Michelangelo's David. I like this shot because it shows that the statute is huge, whereas the usual angle disguises its impressive size. 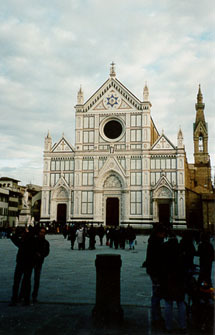 Santa Croce is one of the many churches in Firenze. Michelangelo, Galileo, and Machiavelli are buried there.